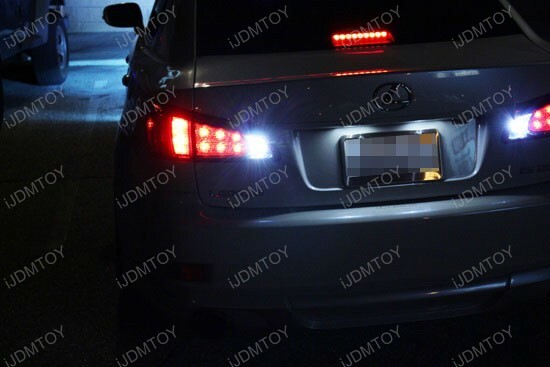 When you see this Acura TL at night, please don’t forget to put on your sunglasses, because the super bright 921 LED Reverse lights have amazing output, that will illuminate probably the entire parking lot! 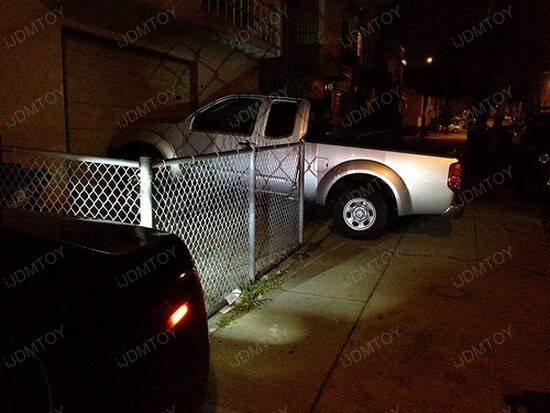 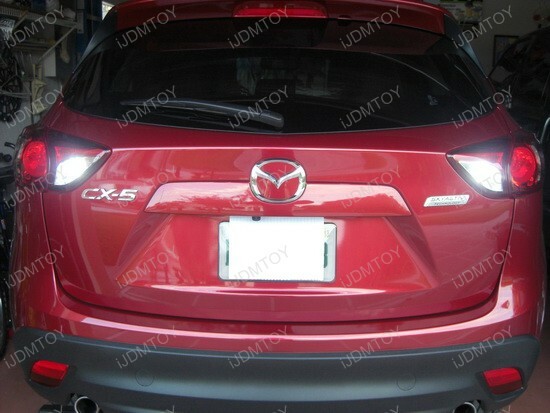 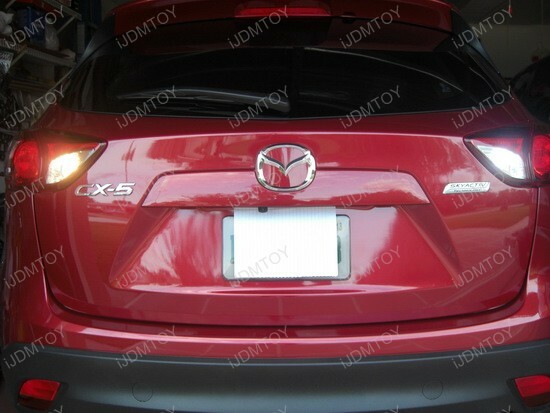 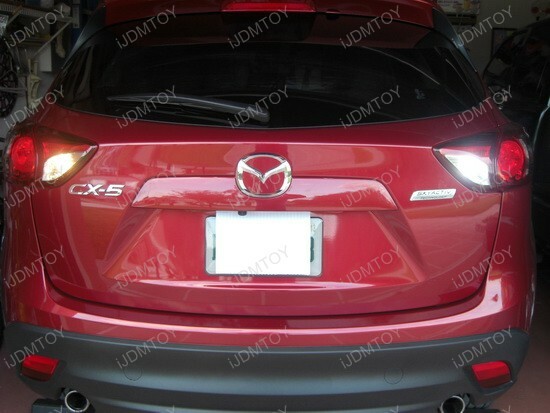 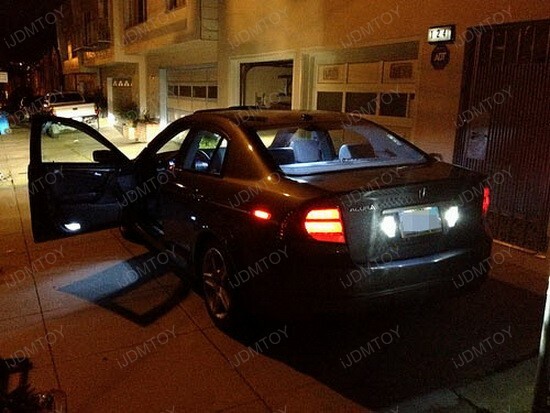 Seriously, check out the pictures, showing the extremely bright LED backup lights in action – it’s just like you are having two sets of CREE LED flashlights on the back. 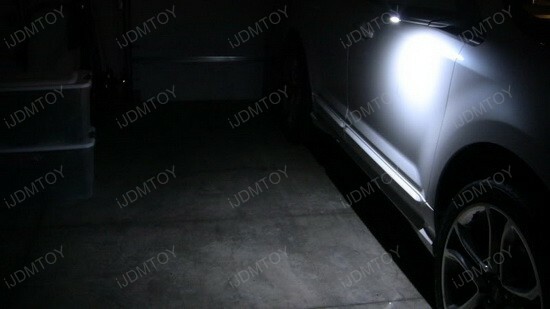 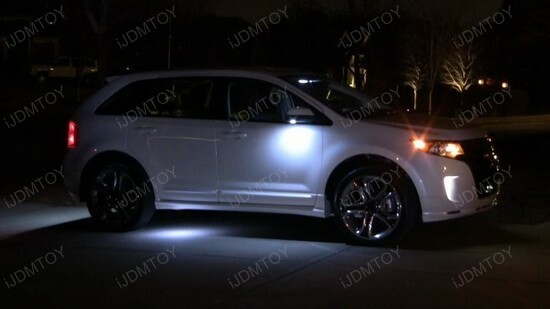 Actually, all the light comes from just a pair of two small Xenon White High Power T15 LED Bulbs. 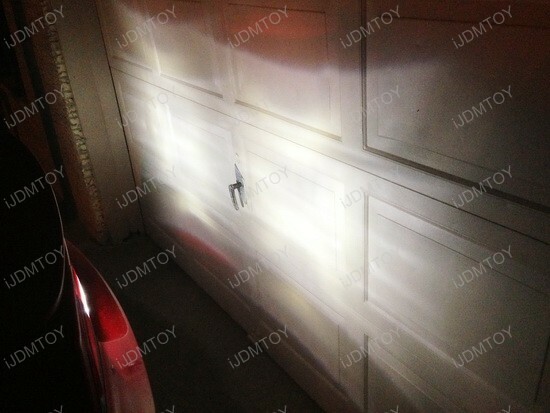 This high power T15 wedge LED bulb will easily replace the stock 912, 921, 904, 906 bulb for backup reverse lights, and finally you’ll end up with LED bulbs, that can light up the entire back wall of your garage, just like the headlight can light up the entire garage door! 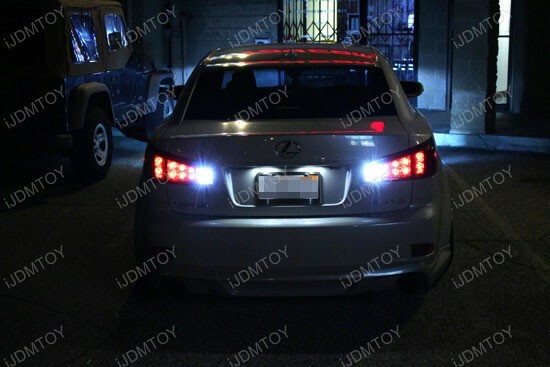 Why don’t you get rid of the old dimmish backup lights and try the new 6000K Xenon White LEDs with a lifespan of 20000 working hours? 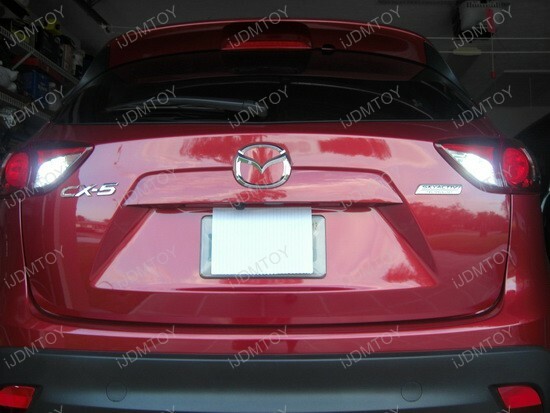 The x3 optical projector lens guarantees crazy output, that you can literally see like a circular projected lighting on the back wall and add more style to your ride at the same time. 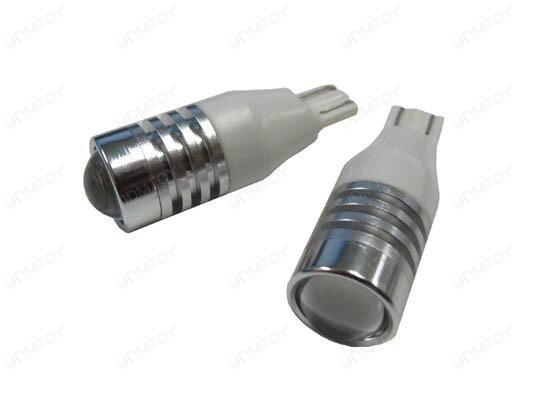 Replacing the stock bulbs is very easy – just plug out the old bulbs and plug in the new ones. 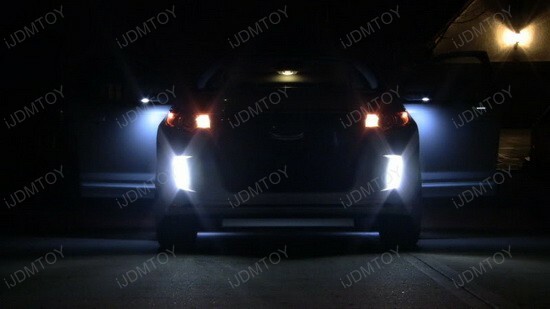 Please note these are polar sensitive, so if they don’t light up, flip them 180 degrees and that’s all, folks! 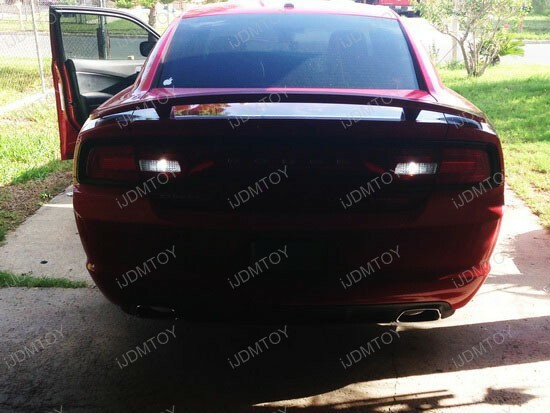 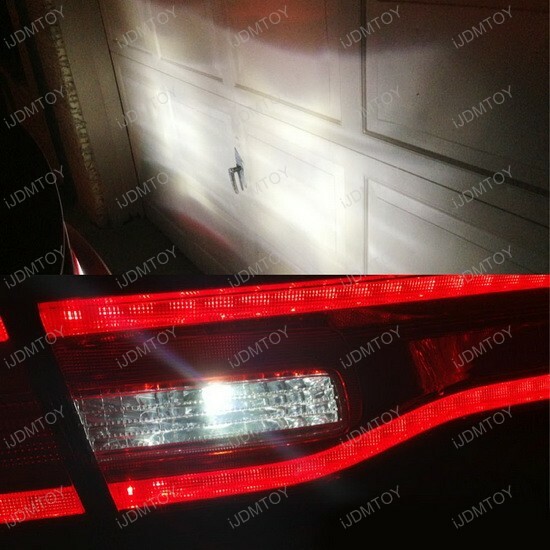 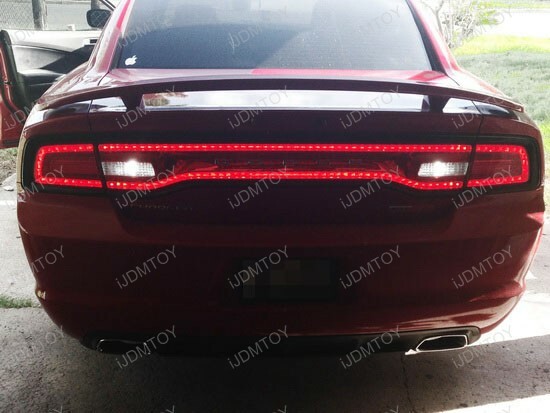 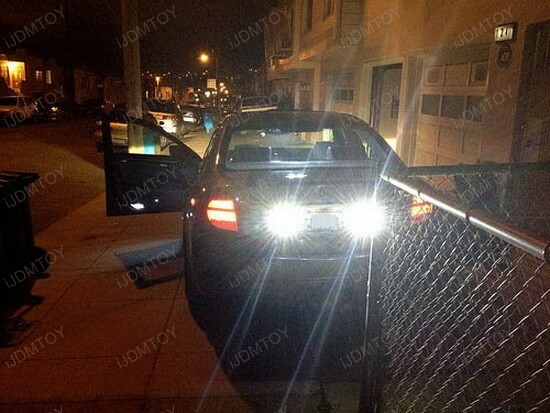 This Acura TL will grab everybody’s attention, but if you want to spice up the look of your car, then go with the LED Reverse Lights from iJDMTOY. 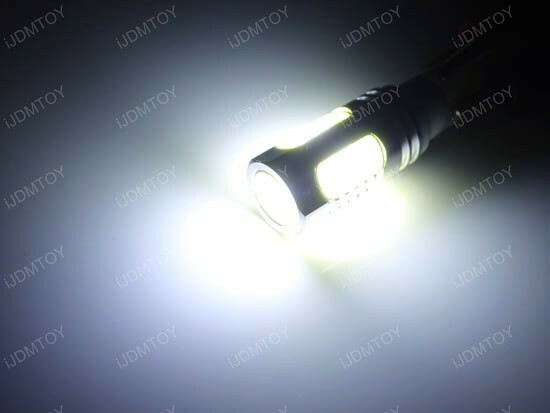 These amazing super bright "fellows" won’t let you down when you need them most, don’t cost a fortune, and are one of the best stock bulbs replacements around.